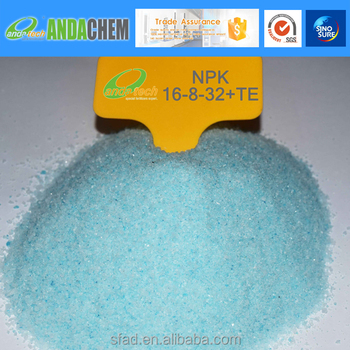 Welcome to our page, thanks for your attention to ANDA CHEM. 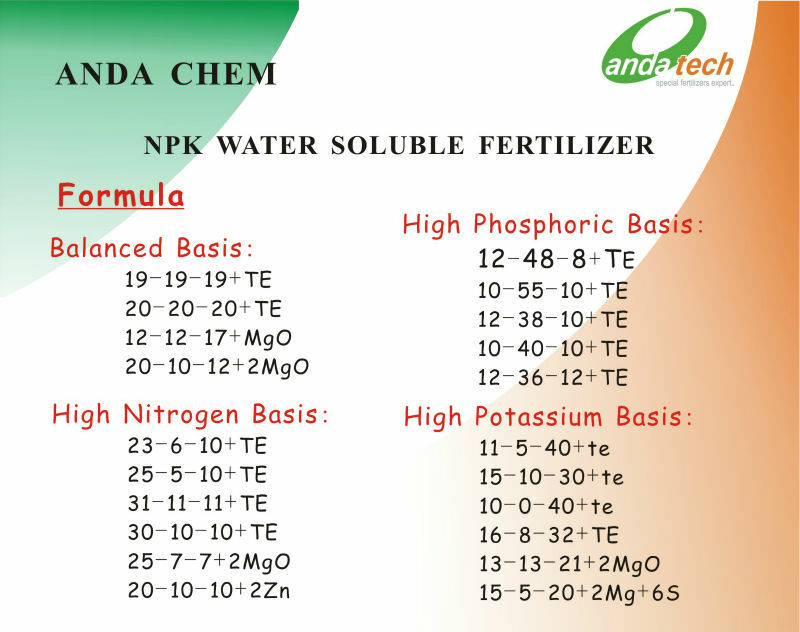 We are a manufature to water soluble fertilizer for more than 16 years. 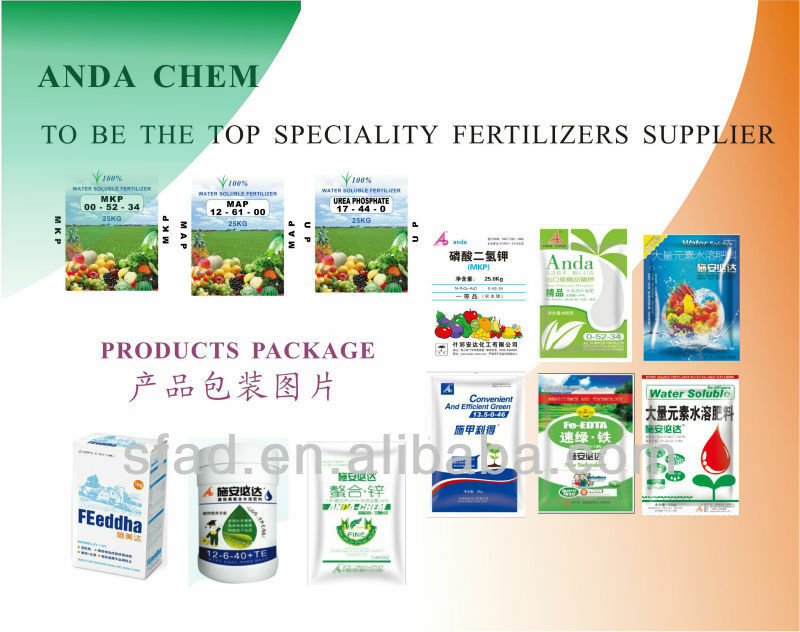 We started our international business from 2005.
our own brand---ANDA, is very popular in local market. 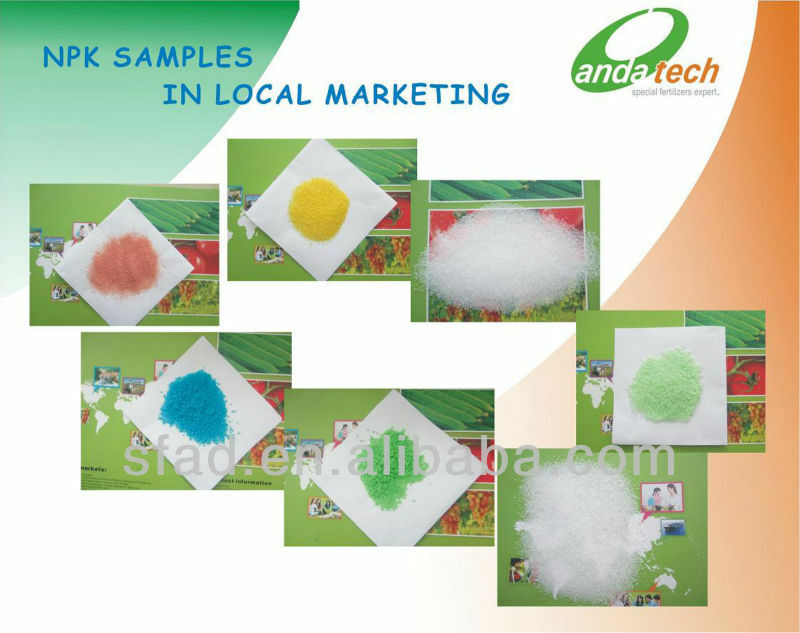 the international market, we distribute our goods by the foreign agent, in other hand, we do OEM too. if you have some business idea to this field, pls keep me be informed.